I had the pleasure of taking part in the very first collaboration with the American Institute of Architects (AIA) UK Chapter, as part of my committee responsibilities as Head of the Student & Associate Committee for the British Institute of Interior Design (BIID) A Charrette is a one day competition for 3rd year or post graduate students, and this year the AIA invited the BIID to take part. The BIID invited universities with Interior Design degree courses to bring teams of students to take part in the competition. 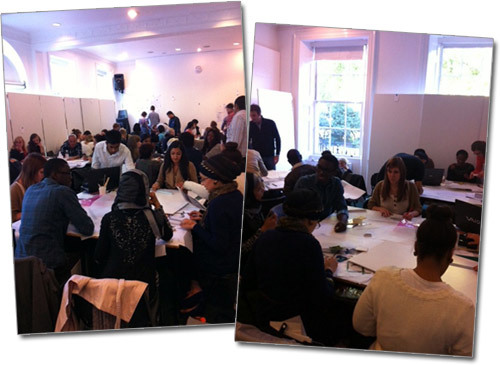 Recently held at the Architectural Association in Bedford Square, London, Charrette ‘11 challenged students to explore how architectural form can create both expressive and rich interior spaces to enhance the visitor experience. 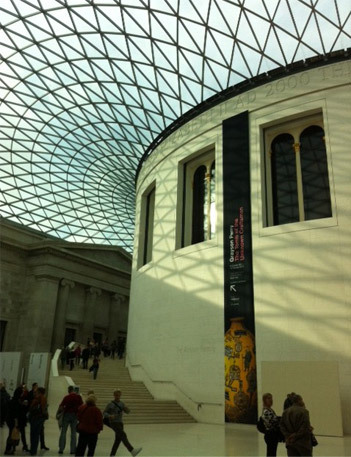 With the BIID’s support, this intensive, one-day design exercise saw interior design students from British universities taking part alongside architecture students for the first time to compete in designing a new wing to the British Museum. I also mentored a team for the day, which was a mixed group of Architecture and Interior Design students – which was great fun for me! It was also challenging, keeping a group of people on track and making sure to get the best out of everyone was tricky some of the time. But to work with creative and enthusiastic people is partly why I enjoy my job so much. At the end of the afternoon each team presented their designs to an expert jury, chaired by Paul Finch OBE, the renowned architectural journalist and critic and Chair of Design Council CABE (the Commission for Architecture and the Built Environment). The judging panel also included Graeme Brooker, co-founder of Interior Educators and senior lecturer at the University of Brighton and architect Stephan Reinke, the first President of the AIA’s UK chapter. The day was fun and energetic and although there could only be one winner, it was the process which was the most important part of the day. Collaboration and the ability to get your ideas across and understood is key in my job as an Interior Designer, and this is what I hope these students took away from the day.